Porcelain dental crowns are very effective ways of restoring a damaged tooth and improving its appearance. Dental crowns are very commonly performed treatments, and they are often essential to providing your tooth with strong protection and support, or to add the final restoration after a dental implant procedure. Here at Pomerado Cosmetic Dentistry, our experienced dentists utilize advanced CEREC® 3D technology to create custom-designed, natural-looking dental crowns that often require only one office visit. Porcelain dental crowns can provide strong support and natural-looking results to address all of the concerns listed above. Plus, with the innovative CEREC® 3D ceramic restoration technology, most patients can receive their customized porcelain dental crown in a single office visit without the need to wait weeks for the crown to be made. In addition to providing patients with the ability of attaining same-day dental crowns with the CEREC® ceramic restoration technology, Pomerado Cosmetic Dentistry uses advanced IPS e.max® crowns to give you the most natural-looking results possible. In dental crown treatments of the past, the results were often very successful; however, there was often a small but noticeable line at the gum where the crown met the tooth that it was covering. IPS e.max® crowns are made of a lithium disilicate glass ceramic, giving them a near-translucent appearance that makes them blend so well with your natural tooth that it’s almost impossible to tell you are wearing a crown. Plus, IPS e.max® crowns are known for exceptional durability – several times stronger than other ceramic materials – with a significantly reduced chance of breaking or cracking. We employ the IPS e.max® material in all of our dental crown procedures to provide patients with the best possible aesthetic and functional results. First, our cosmetic dentist will prepare the tooth for the crown and take an impression of the area so that your crown will have the most precise and accurate fit possible. Then, specialized CEREC® 3D imaging software will be used to create the crown. The crown is custom-designed and color-tinted to match your surrounding teeth. It will then be securely attached to the tooth with a very durable cement. For many people, the crown is so lifelike that it’s difficult to tell the difference from the crown and a natural tooth. With proper care, porcelain dental crowns can last for decades and improve both the form and function of your teeth. 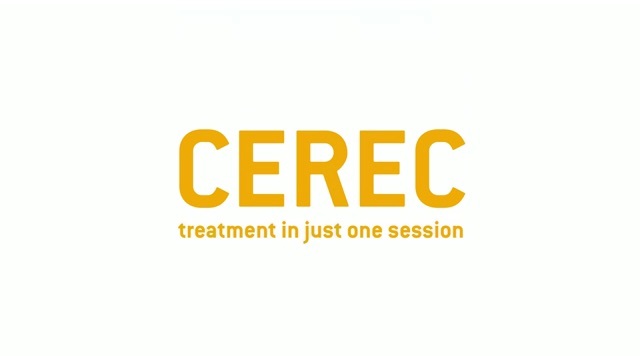 With CEREC® (Chairside Economical Restoration of Esthetic Ceramics) technology, we are able to provide complete crowns, veneers, inlays, and onlays in a single office visit. These high-quality restorations are a convenient way for you to restore a tooth that has been weakened by damage or decay. Once the tooth has been cleaned and prepped, one of our experienced dentists will take a digital impression of the affected tooth using CEREC® 3D software. With these digital images, your restoration can be designed and sent to the milling unit located right here in our office. These advanced capabilities often allow us to create permanent restorations in a single appointment. After your custom restoration is complete, our dentist will ensure a precise and comfortable fit. In just one day, your tooth can be strengthened and its appearance enhanced with long-lasting, natural-looking results. If you would like more information on dental crowns, or if you would like to schedule an appointment with Pomerado Cosmetic Dentistry to talk about your options, please contact us today.